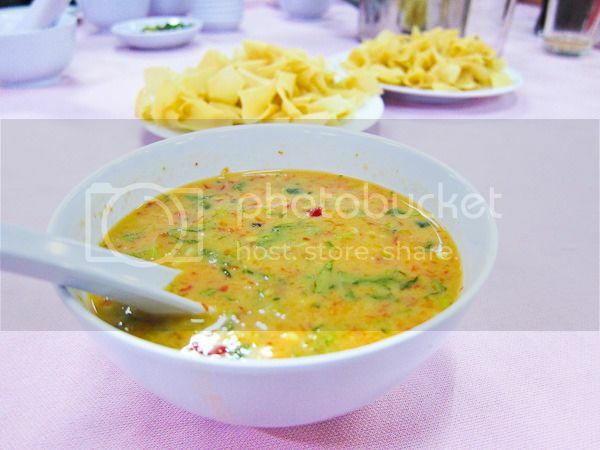 Our initial plan was to make short trip to Seremban to visit the then-newly opened Gong Cha. But somehow, suggestions flew all over and we decided to have dinner in Seremban as well before heading back to Kuala Lumpur… on the same day. 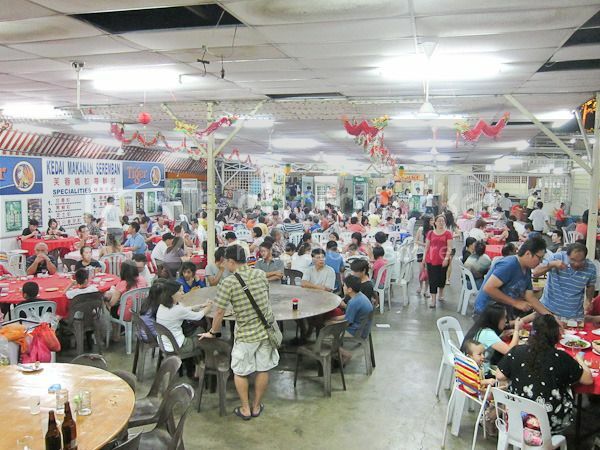 When it comes to food in Seremban, it is famous for a couple of things such as beef noodles, hakka noodles and siew pau. 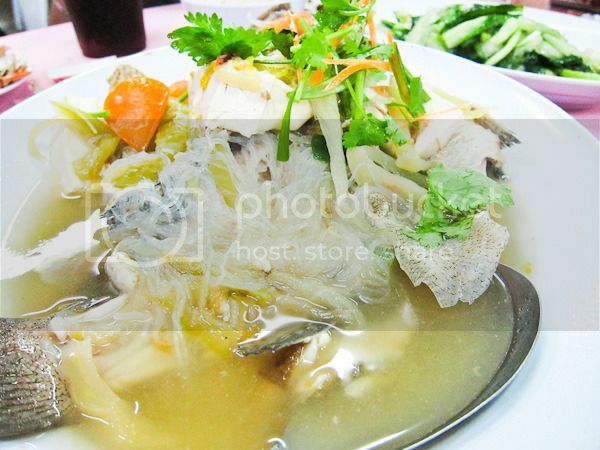 But during the night, it is a different ball game where seafood is the thing to go for to fill one’s tummy. 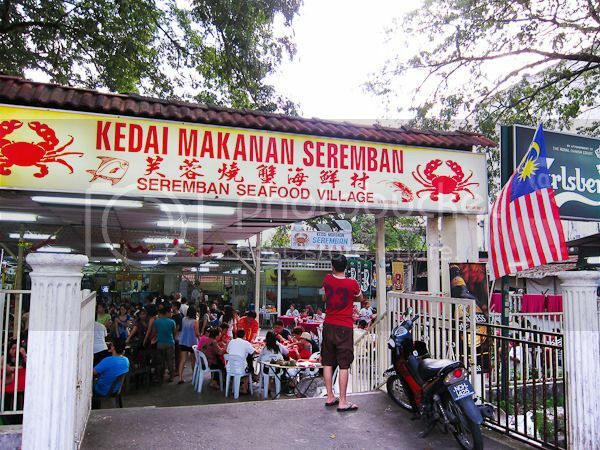 There are plenty of restaurants in Seremban that serve seafood. 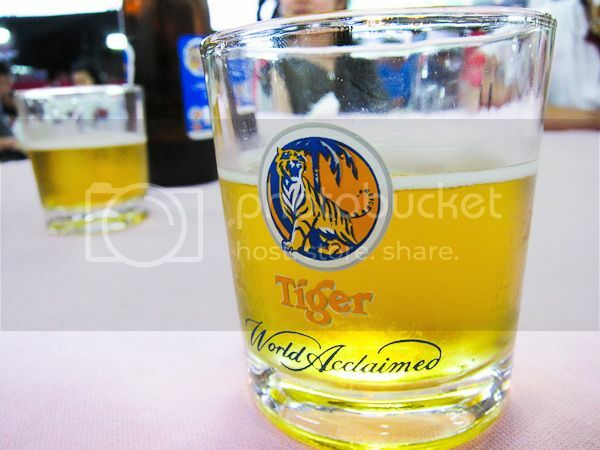 With the sheer amount of customers flocking and dining during peak hours, you will get the idea which restaurants are good and which are a-okay. 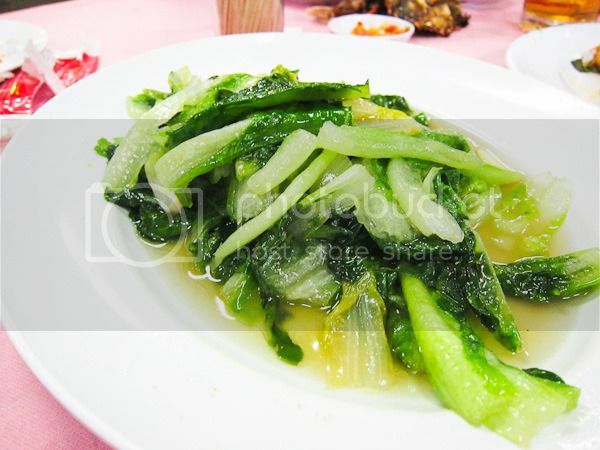 However, this restaurant in particular needs no introduction at all due to its popularity. It has been in such state for years now. It was packed when we arrived at 630PM. We had to wait for 10 – 15 minutes before securing a table and another 10 minutes to get someone to take our order. 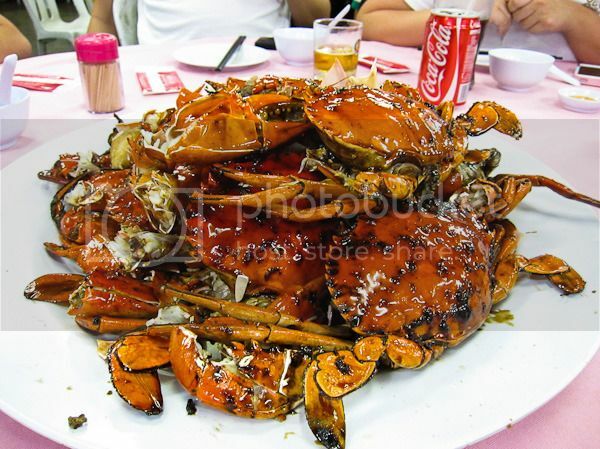 A glance at surrounding tables and you will notice that almost every table there will be at least a plate filled with their signature dish; baked crabs (some called them grilled crabs). So, it’s no brainer that we had to order them to not lose out. The supposedly dark sauce was thick, somewhat sweet salt-ish with a hint of burnt aftertaste. The best part is that the shells were pummelled for easy picking/removal and perhaps easy absorption. 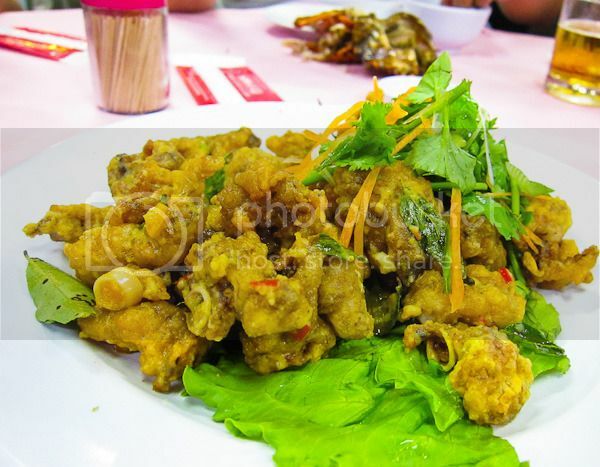 Another favourite dish of the day was the salted egg yolk mantis prawn. Despite the batter was wee bit thick, they were really sinfully addictive. 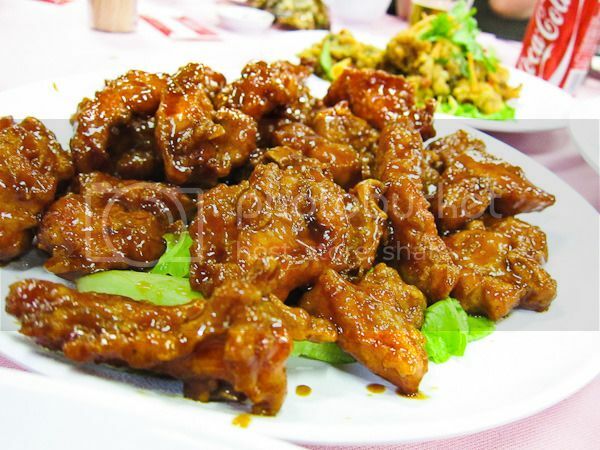 The pork dish was equally good; tender meat coated in sweet sauce. 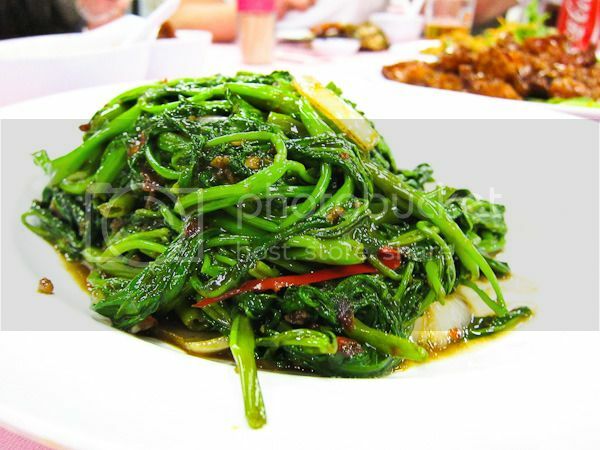 The two types of greens were nothing to shout about. They were ordered to meet the ‘quota’, if you know what I mean. 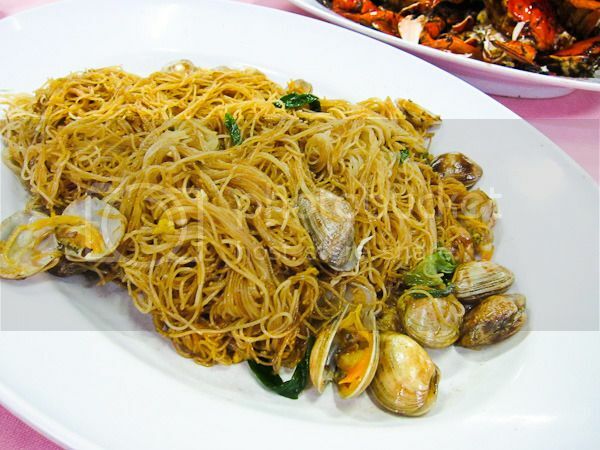 As for the fried vermicelli with clams, it was alright although they could do better with more clams. All in all, it was a good, satisfying meal. My apologies for not listing the breakdown price for each dish but the overall bill came up to around RM400 for 10 pax which include a pot of tea , 3 large bottles of beer and a can of soft drink. That works out to about RM40 per person which I think it is pretty affordable for meal like this, if you exclude the traveling expenses.